That was easy. 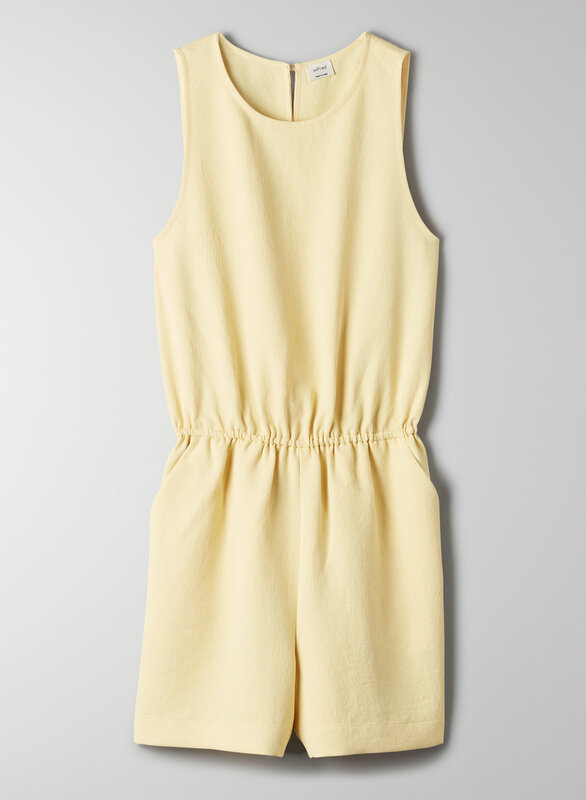 This is a romper with a crew neckline, elastic waist and overlapping criss-cross design at the back. It's made with a basketweave fabric from Japan.